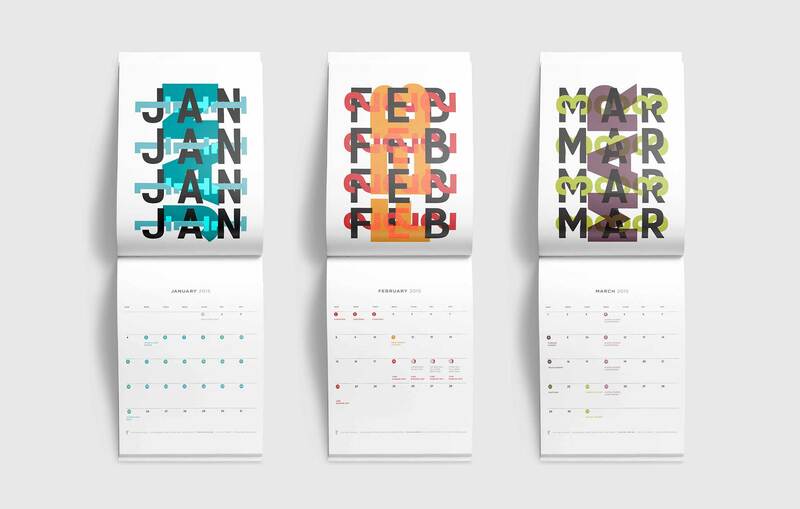 I have always loved creating calendars, both for practical use and as a way of developing artistic expression. 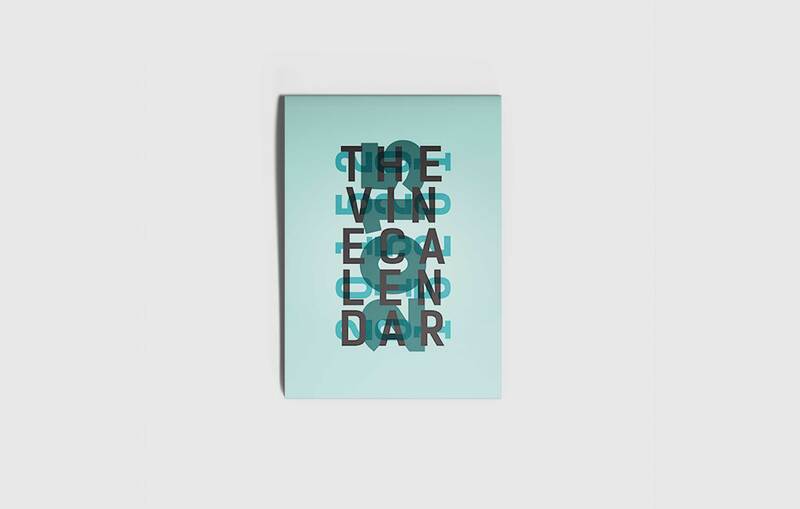 While I was at The Vine, there were so many ongoing courses and events from different departments and external programs, my team and I thought it would be useful to create a printed calendar of everything happening throughout the year. 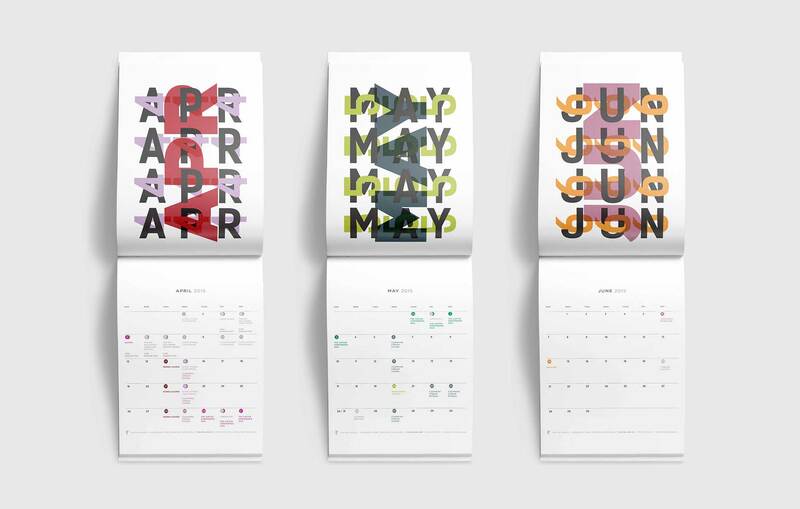 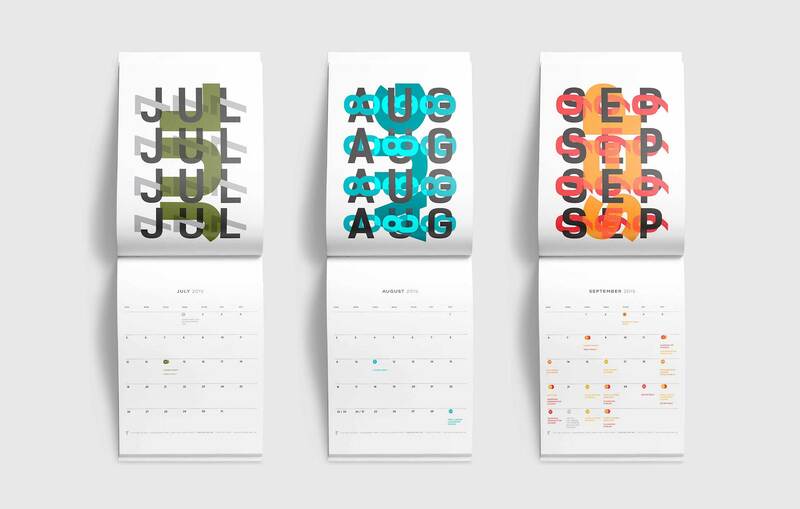 The events printed on the calendars were color-coded according to different themes and areas of interest. 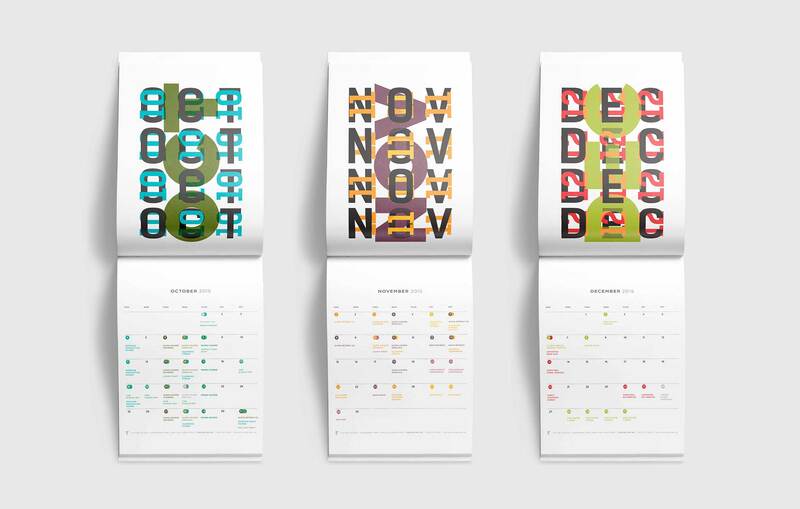 We received an overwhelmingly positive response; the people who received the calendars found them to be useful and loved the designs.